Foreign currency non-term current account is a safe and high-secure wallet for customers who have demand of foreign currency saving. This deposit account brings you an attractive interest rate, frees you from worry about currency devaluation or risks facing when keeping cash at home. Customers can deposit additional money, party or wholly withdrawing of deposit at any time or using this account as a guarantee and loan guarantee at DongA Bank or as a confirmation of financial ability when study overseas etc. 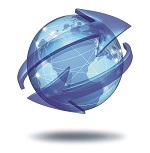 Managing and securing of customer 's assets in foreign currency . Customers have right to deposit additional money, withdraw a part or the whole of deposit at any time as needed. A guarantee for loan and overdraft facility at DongA bank. Customer can receive earned interest from deposit account via DongA Bank Multi-functional card. Checking of account balance through Internet Banking. Authorizing others to receive money or deposit money on behalf of customer ( applicable from second transaction of that deposit account onwards ) . 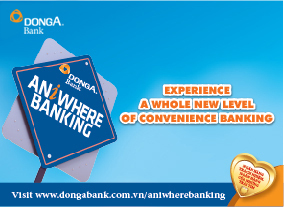 Customers can open deposit account in one branch and make transactions in any other branches of DongA Bank. Current Fees and interest rate of DongA Bank. Vietnam citizens, Oversea Vietnamese or foreigners from 18 years old onwards, with resident time in Vietnam from 12 months or more, having sufficient legal and civil behavior capability and other individuals as regulated by DongA Bank. Interest payment: Monthly interest payment based on date of opening savings book. Money will be automatically credited into savings account. Other regulations: After one month from the date of opening savings book, if customers do not withdraw interest, interest will be automatically added into original deposit amount. Fill in Deposit slip (as per DongA Bank sample), personal papers (ID, Passport).